Of all the sets out there to collect, the Leafs are my favorite. Scanned are 2 of my recent pick-ups. Williams didn't show in the previous post. 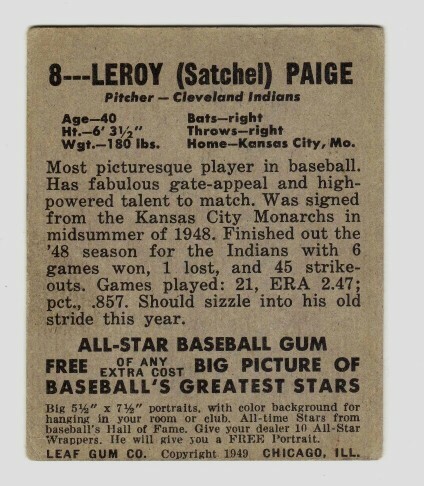 You must have the best 1949 LEAF set in the hobby. Your cards are really amazing. 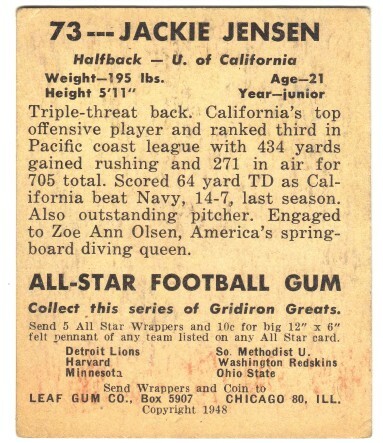 To me the uniform detail on some of the Wyrostek and Adams cards seem just as significant as the PSA recognized variations of Aberson, Peterson and Hermanski. Hey Ted thanks for the kind words. I have most of the non SP's. But here's my only SP. Always been one of my favorite cards because my Great Grandfather looked so much like the Wagner Photo. were marketed only in Eastern Massachusetts, Illinois, Michigan, and Ohio. 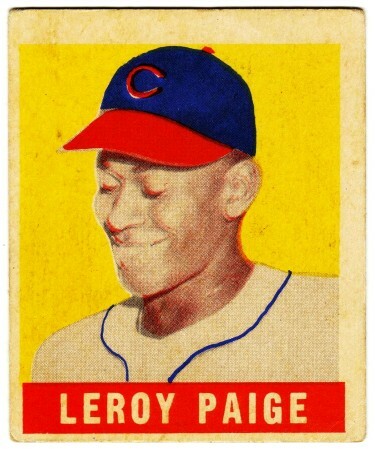 While the 1st series of 49 cards were marketed in large numbers nationwide. My understanding as to why this occurred was due to litigation problems between the BOWMAN GUM CO. and the LEAF GUM CO. in 1949. 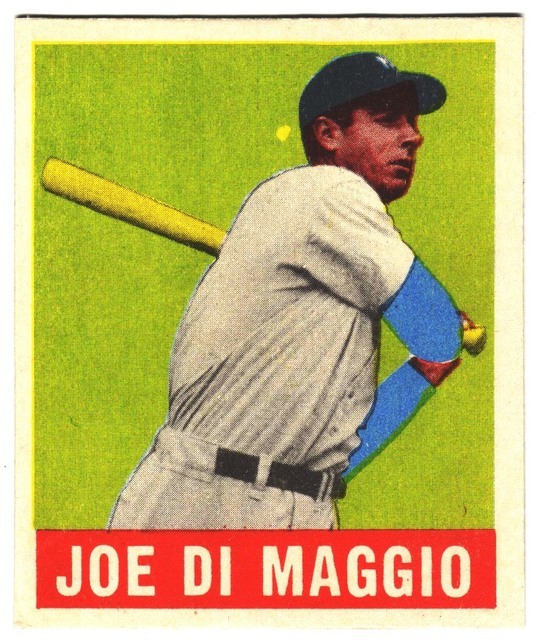 All 49 cards in this 2nd series are displayed in this thread in Posts #22, 27, 28, 29, 30, and 31. Ted mentions the Bowman/Leaf lawsuit. Here is a contemporary Boston Globe article on the suit filed by Boston ace Warren Spahn and five other players. 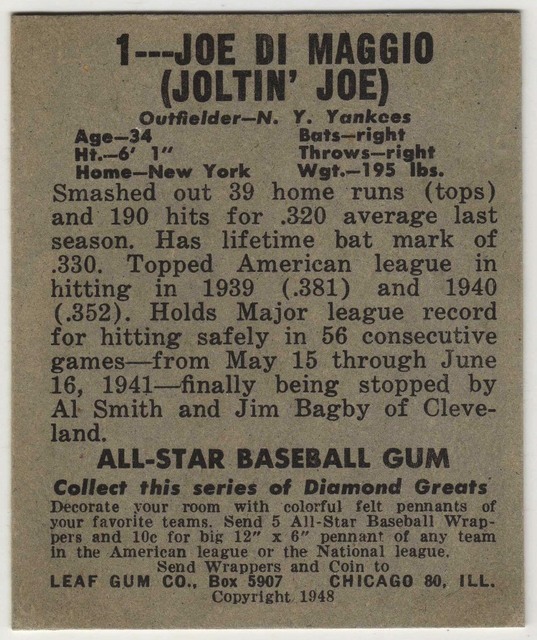 May 5, 1949. I have only one card from this set and I may be down to zero soon. 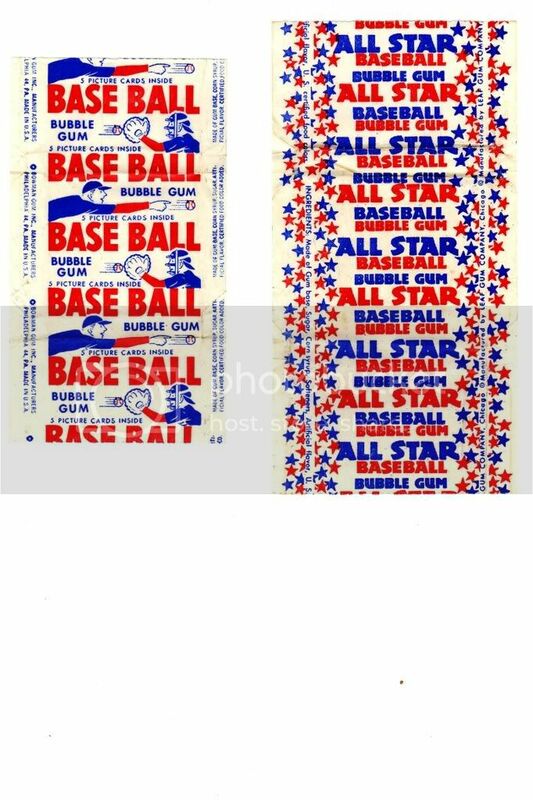 BOWMAN also sued LEAF over the use of BOWMAN's logo "BASEBALL BUBBLE GUM" on their waxpacks. 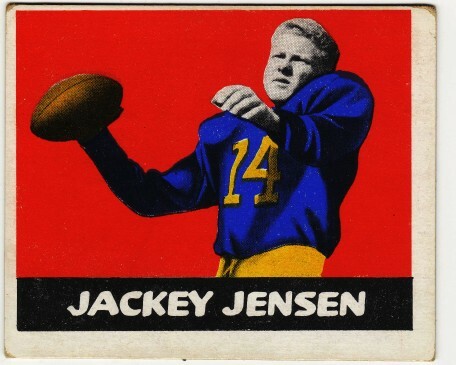 We have here a rare occurrence in Sportscards where a well-known Baseball player's Rookie card is actually his Football card.